Recently, the WordPress Development Community announced that it will be releasing the final version of WordPress 5.0 in early 2019 . The new release is currently in Beta and can be downloaded by anyone, but it may still have bugs. Update: WordPress 5.0 “Bebo” has been released. Let’s take a look at some of the new features that will be packaged with the new WordPress 5 release. Over the years, the WordPress community have been releasing update after update, but each update overlooked the WYSIWYG ( What You See Is What You Get ) editor. In this release, WordPress will finally ditch their legacy editor and switch to their new editor. Gutenberg is very similar to the editor in the popular blogging website Medium. 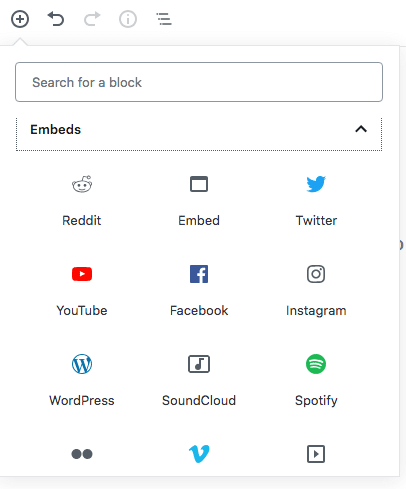 You can create blocks with pre-formatted styles, as well as, easy to embed features for Reddit, Vimeo, Facebook, and more. Simply put, the new editor is designed to make it super easy for you to create engaging content and format it beautifully. Blocks we’re designed to unify the entire short-code, widget, embeds and other customizing options process. Before, we would have to have a custom theme developed in order to have beautifully designed post pages. For example, with the new blocks implementation you can create an “Employee Block” which a user can drag into the editor and it will beautifully display information about the employee ( Name, Picture, Bio…). Blocks will be the first implementation in Gutenberg, which is also split into three phases. As stated by WordPress, new posts will be backwards compatible with the original editing functions like shortcodes. 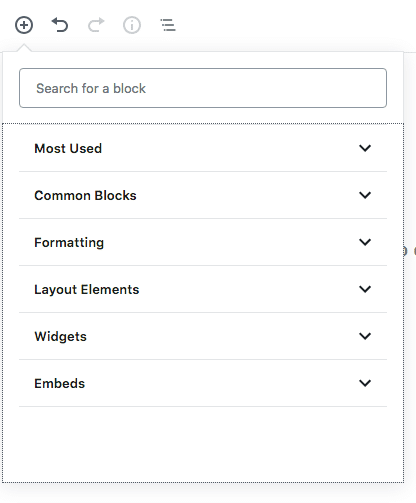 The Gutenberg development team is continuously exploring options to accommodate complex meta-boxes which are usually developed alongside custom post types. Gutenberg also brings a focus on user experience, but will be updated to support existing, highly-customized websites. Gutenberg is scheduled to be released in 3 phases. The first will be included in WordPress 5, which will have a focus on posts and the user experience behind posting an article. Following the release of WordPress 5.0, Gutenberg will also undergo a variety of updates to help users customize not only posts, but pages as well. Finally, the third phase of Gutenberg will include full website customization. Although Gutenberg is a big change for WordPress, it will still allow for existing posts / shortcodes / meta-boxes to function correctly. The project being split into 3 stages will also allow developers to have enough time to transition effectively. As we’ve seen in previous WordPress releases, there is almost always a new theme to accompany the release. With WordPress 5.0, we’ll see the introduction of their latest theme, Twenty Nineteen. Although nothing special, Twenty Nineteen will introduce a more minimalistic design. It will also be Gutenberg friendly to allow users to customize blocks. Rather than have it as a theme for your own websites, it can serve as a very interesting sandbox for developers & designers to learn about coding best practices in WordPress 5.0. The new release of WordPress, which is currently in beta, will bring a better user experience, the ability to customize more of your content, and an improved WordPress REST API. As a web developer or designer, it is best to familiarize yourself with the new release in order to stay ahead of the competition. You can download Gutenberg today as a plugin to test it out, but we recommend playing with it in a local environment rather than on a production website. Have questions about the new WordPress 5 release? Not sure if WordPress is right for your business? Contact us today and we’ll be more than happy to guide you through the WordPress ecosystem.